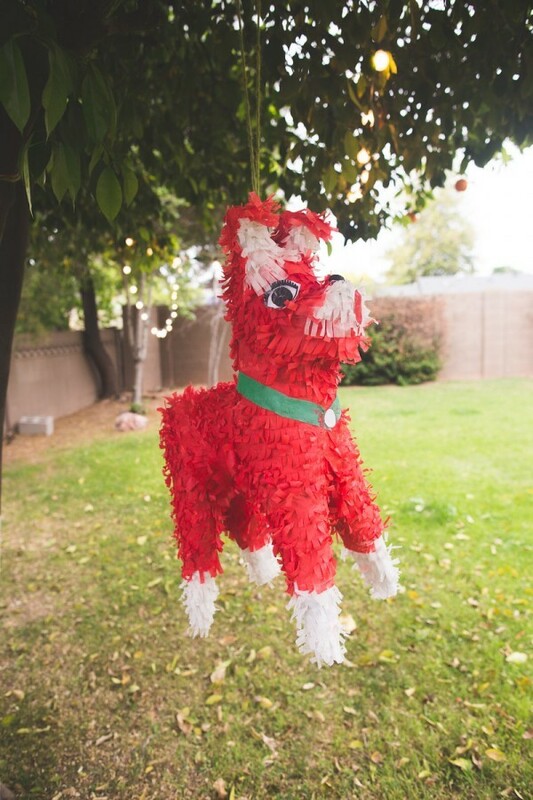 Naturally, your Cinco de Mayo fiesta isn’t complete without the right decorations! 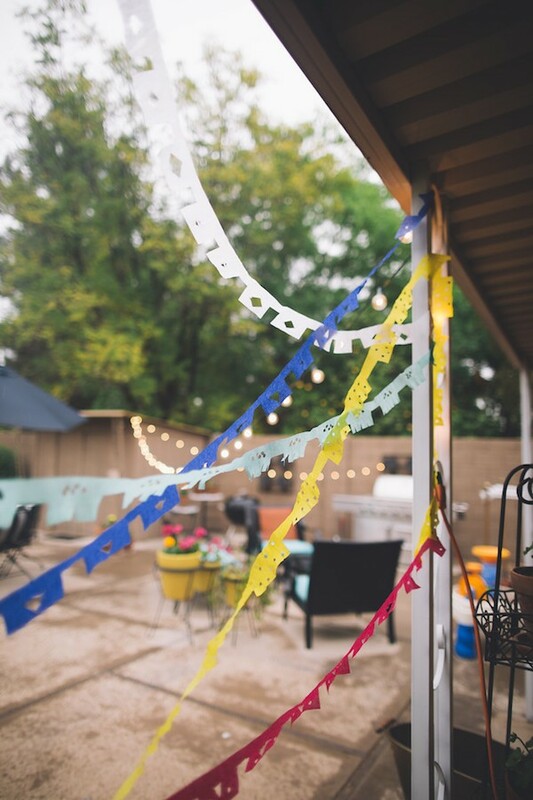 Instead of spending loads on pre-made decor, there are a few very simple, very easy ideas you can put into place that will make your party bright and beautiful. 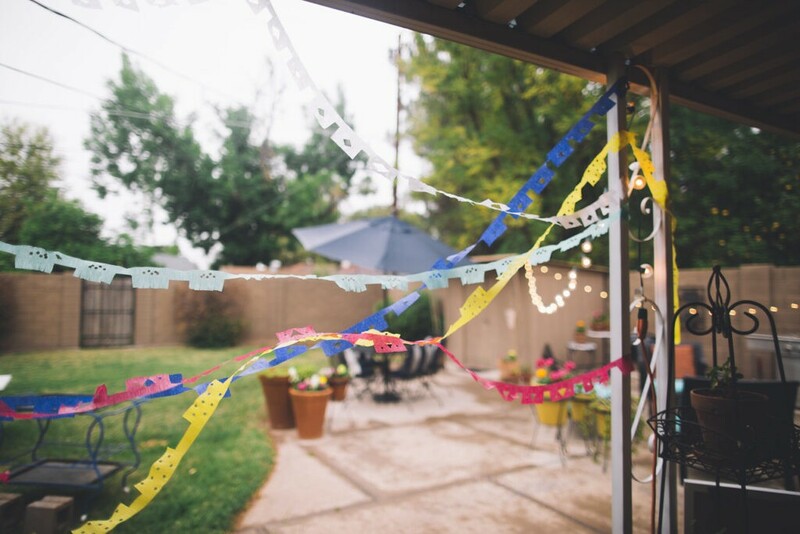 We spent a little extra time doing these things the day before the party, but we promise they don’t take a lot of time! We want you having fun as soon as the party starts! 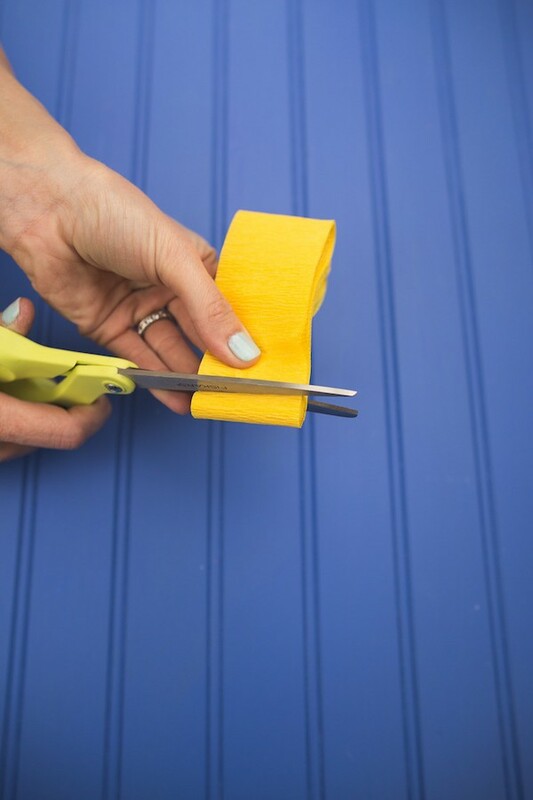 Get out your office supplies and start cutting! 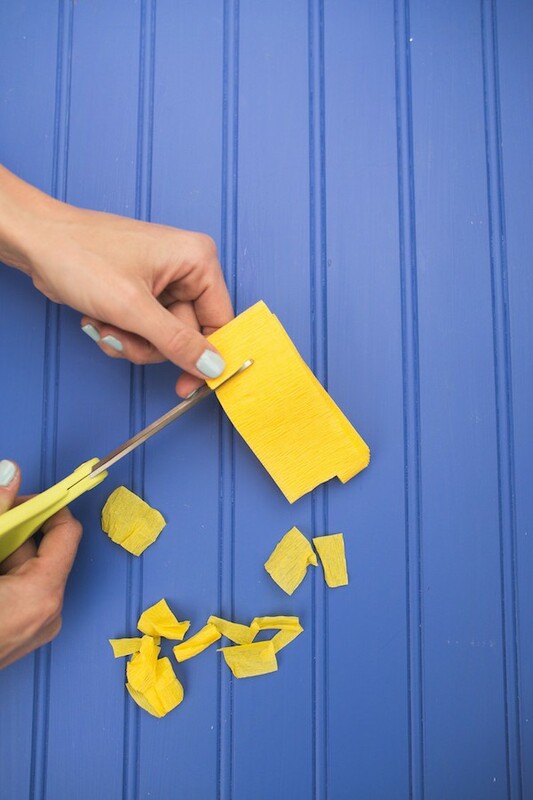 To make the crepe paper strings below, fold a few feet of crepe paper together, then cut out squares in the bottom corners and a small triangle in the bottom middle (see photos). 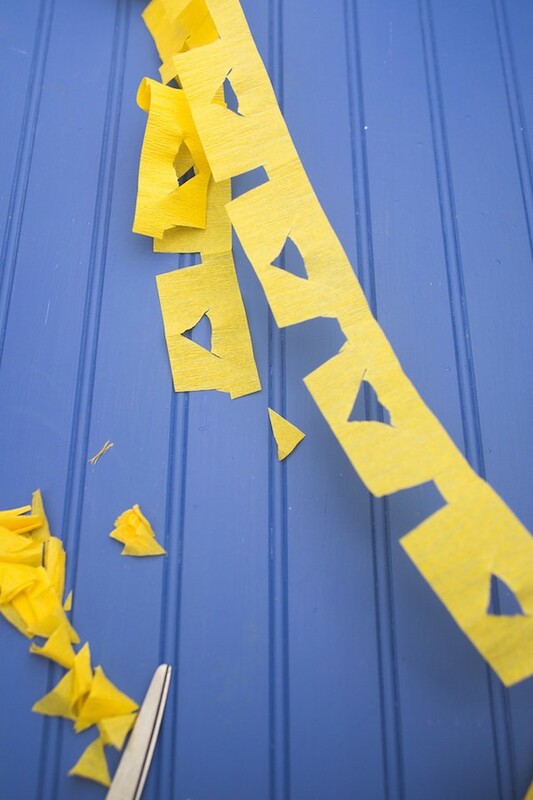 Think of cutting up folded triangles of paper as a kid to make snowflakes – it’s the same, simple idea. 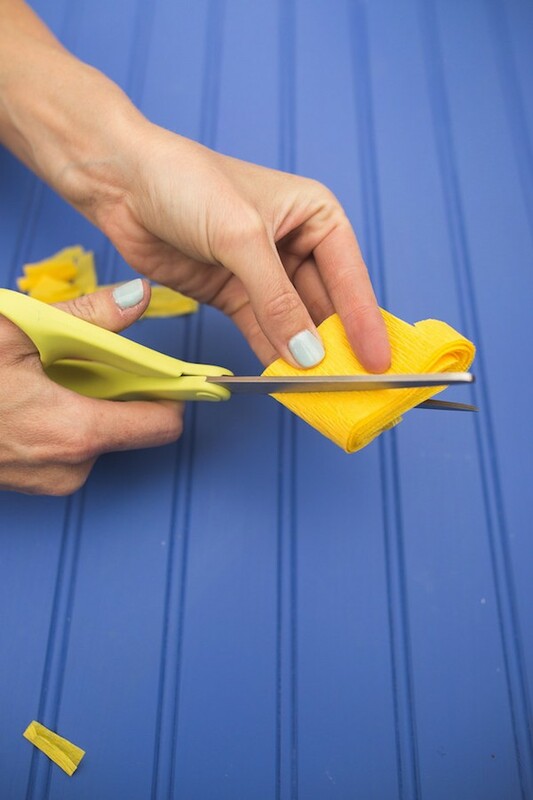 For more dimension and for easy confetti, get out your hole punch and punch a few holes in the folded crepe paper, as well! 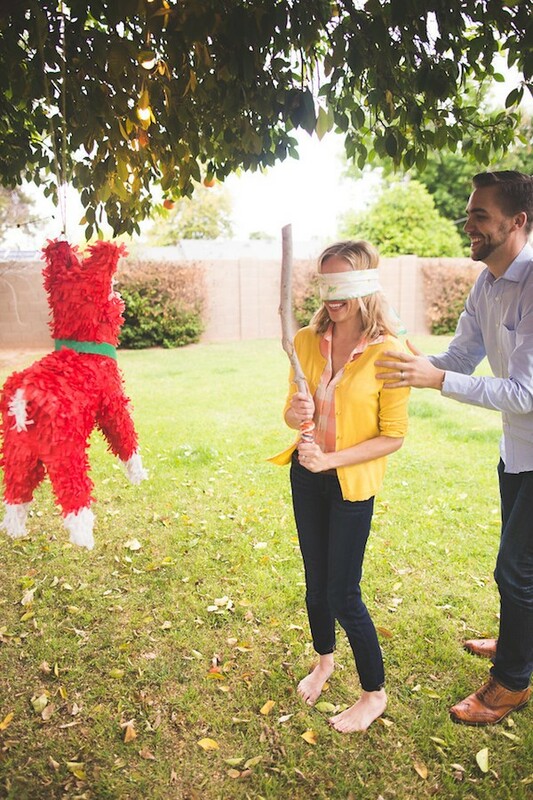 Yes, having a piñata at your party may seem like just a game for kids, but it’s something the whole family can enjoy, and it adds a bit of fun to your decor. 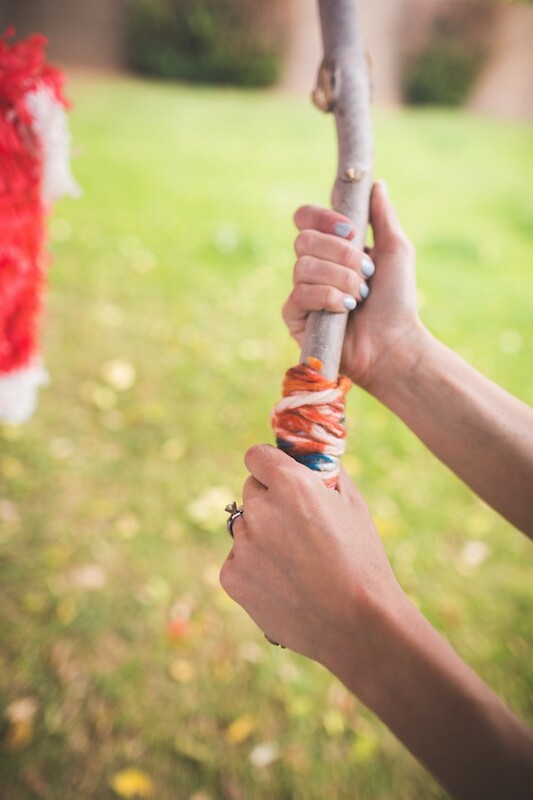 Choose multiple piñatas (you don’t have to fill them all) and hang them in trees, from strings carried across the porch, or simply from the ceiling. They are great conversation pieces, and of course, make a great game when the time is right! 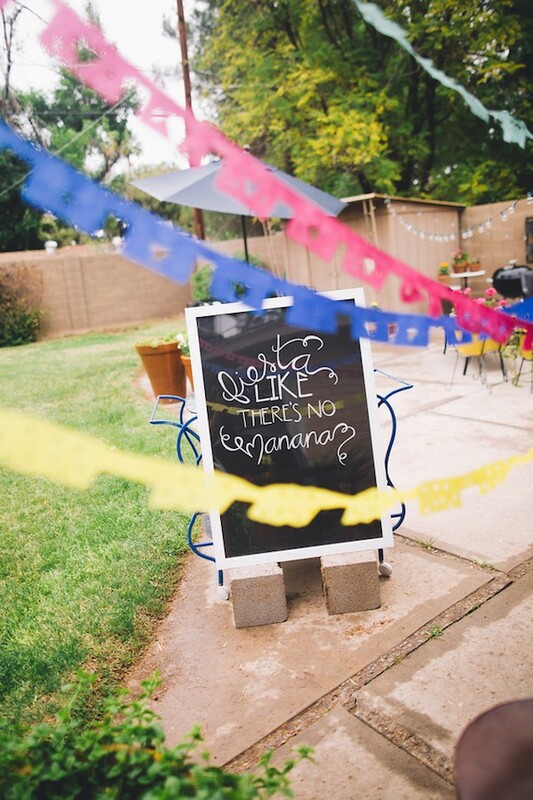 Another simple item to DIY, chalkboard signs are fun to have around. 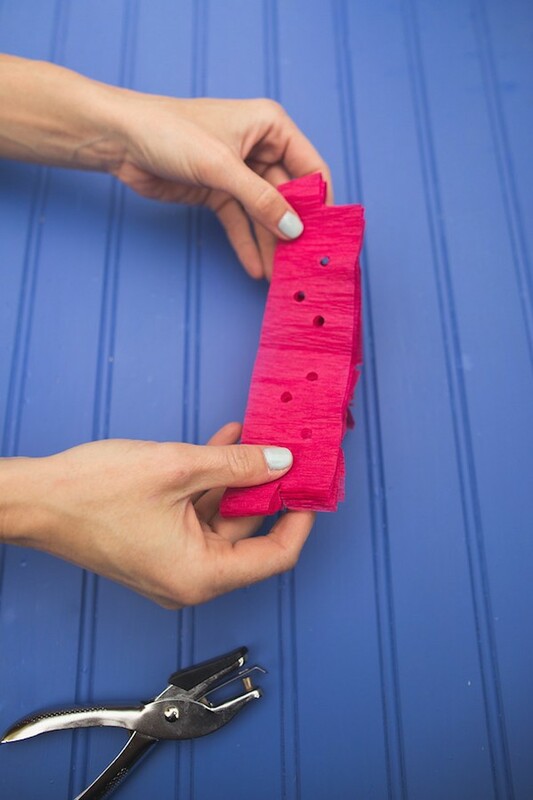 You can fill them with festive sayings, menus or even contests. You can get ideas from our new line of festive t-shirts, even! 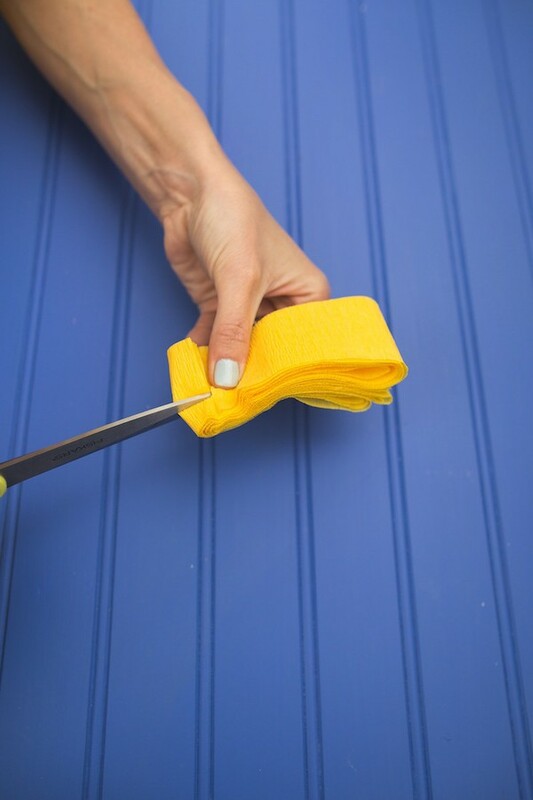 We love how simple these are to make – as well as what great conversation starters they can be. 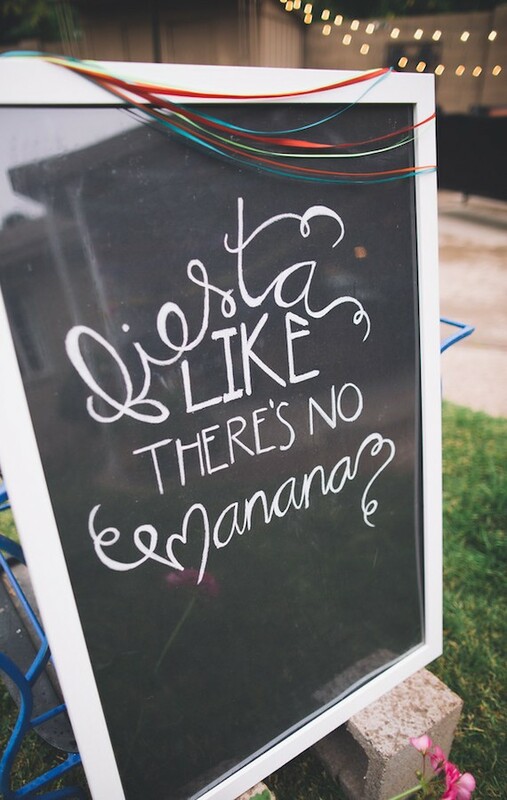 For more fun, be sure to stop by Macayo’s on Cinco de Mayo for the biggest fiesta of all! We’ll have drink specials, live music and parties at all of our locations!